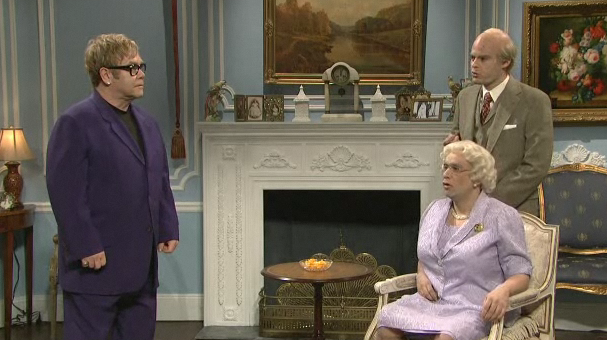 Here is another one of Elton John‘s skits from SNL last night. In this one Elton Visits The Queen. Don’t you guys think it would have been more humorous to see Elton dressed up as someone besides himself?